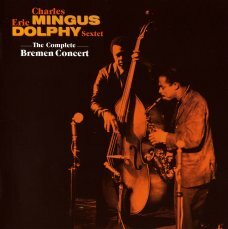 There are so many faces to Mingus that it is hard to choose which one you like best, but his relationship with Eric Dolphy was one of the high points, and this remarkable CD captured that time (1964) in Bremen, Germany, shortly before they parted ways, sadly forever. 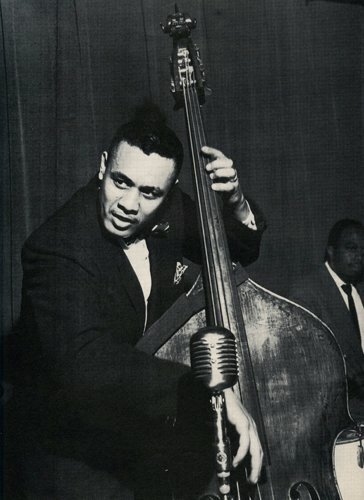 Mingus was a tough, uncompromising bandleader. He expected everything out of his musicians, even if it meant punching them in the face like he did Jimmy Knepper once because he couldn’t hit the right note on his trombone. He would also scold his audiences for not listening, too busy clinking glasses or chatting with each other in the clubs. With Dolphy, their relationship appeared telepathic. Not much needed to said, as if Dolphy said very much to begin with. He always came in where Mingus needed him to, and seemed to carry the notes into other dimensions. Dolphy became the star of these concerts, but of course Clifford Jordan was no slouch himself. Jacki Byard sounds like he had great fun, sometimes falling into a barrel house style of playing which was in keeping with Mingus’ eccentric mix of rhythms. You never quite know what will come next. Dannie Richmond and Johnny Coles round out the band. 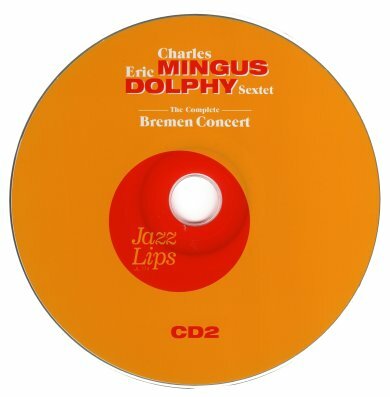 And yes … this is a bootleg, and if you listen to this album, you´ll know, why bootlegs are an importnt addition to all the official releases … this is one of the best recordings of Charles Mingus and Eric Dolphy we ever heard ! 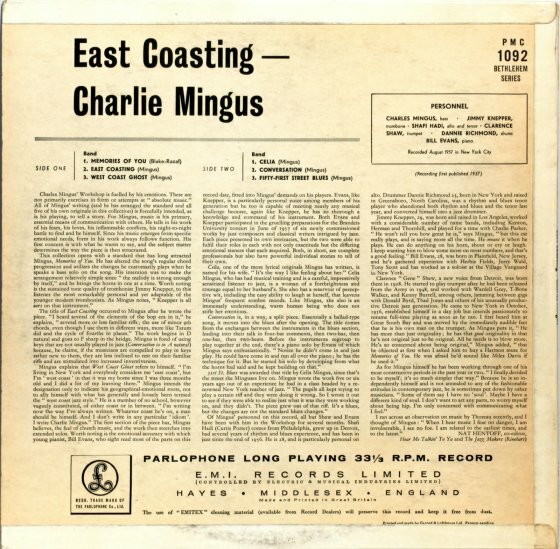 One of Charles Mingus’ lesser-known band sessions, this lyrical set of five originals (plus the standard “Memories of You”) features his usual sidemen of the period (trombonist Jimmy Knepper, trumpeter Clarence Shaw, Shafi Hadi on tenor and alto, and drummer Dannie Richmond), along with pianist Bill Evans. 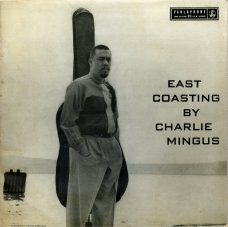 The music stretches the boundaries of bop, is never predictable and, even if this is not one of Mingus’ more acclaimed dates, it is well worth acquiring for the playing is quite stimulating. 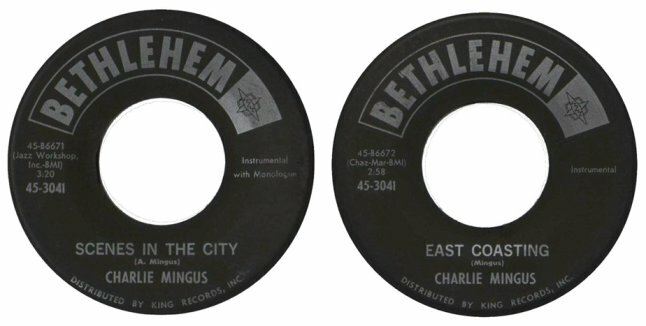 The composer and bass player Charles Mingus recorded East Coasting for Bethlehem in 1957, in between such classics as Tijuana Moods (RCA) and Mingus Ah Um (Columbia). 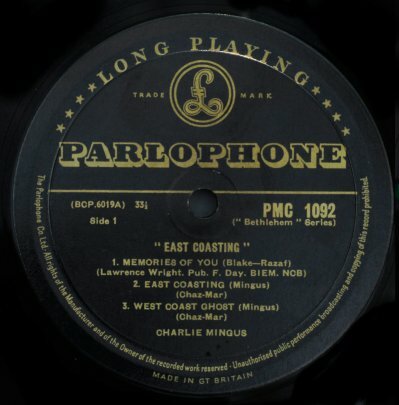 In addition to featuring an early version of “Celia,” along with some numbers he never recorded again, East Coasting is notable for the presence of pianist Bill Evans, who briefly worked for Mingus before joining Miles Davis for the landmark Kind Of Blue.